Summer feels a bit more real once I venture to the beach for the first time of the season. This past weekend was my first real weekend at the beach and I can now officially adopt a summer beach bum kind of attitude! As I've mentioned in earlier posts, I am nannying for a family this summer and so far we have taken lots of trips to the pool which continuously gives me the perfect excuse to keep my beach / pool bag packed to grab at a moments notice (that's not too bad for a summer job if you ask me)! 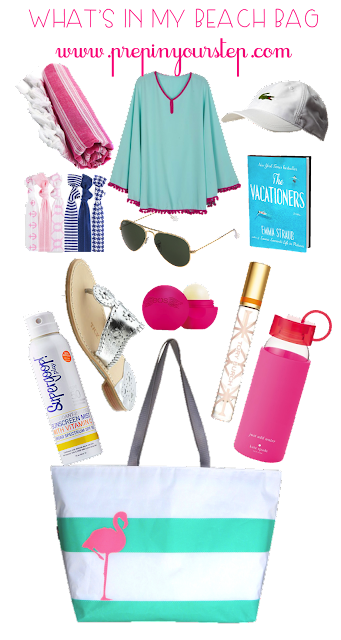 I put together the photo below almost as a wish list of what I would want my beach bag to actually look like if it were to have its contents spilled and I just couldn't help but put together products in such a fun and aesthetically pleasing color combination (not to mention it matches the blog). Although my actual bag and some of the products may look a bit different the general idea remains the same and will sure to have you beach and pool ready in no time! One very important product that I forgot to include in both the photo and the video is a pair of headphones. Not so practical while I am babysitting but if I am spending the day at the beach with friends it can be really helpful to throw in a pair of headphones or a portable speaker so that I can play beachy music to show even more of my excitement from being by the water! Watch me ramble about the contents of my beach bag in this video! Shop for new beach bag goodies by clicking on the photos below! 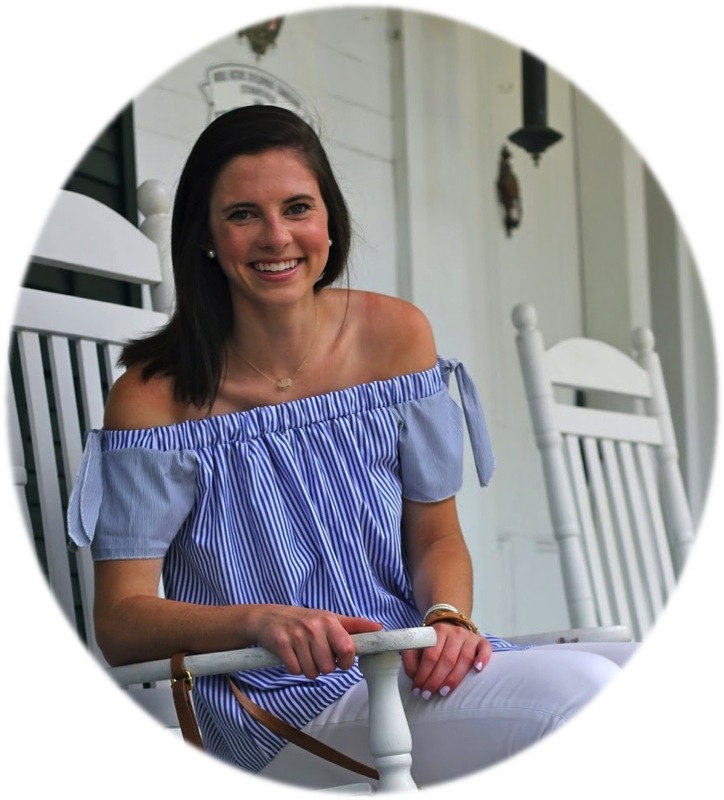 And if you want to update your swim suit collection then check out a post that encourages you to do so with some cute and colorful options here! I love the pom pom cover up! Do you remember the print name of that top? You said that you made the bracelets with the tassels and I would love to see a video on how to make bracelets like that or other jewelry items!! I love those bracelets so much!! Thank you! I had no clue there was a post about that! Keep doing what you do because I check this blog every day... like some sort of addiction!